Submissions for the M'Tigo Min Logo Contest must be in by 4:30pm. 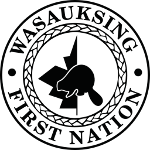 Email: [email protected] or drop off at Wasauksing Adminstration Office. Administration Meeting Room One on One Sessions Available 1:00pm-4:00pm Call Bernita for more information or to book an appointment. APS and WFN Fire Dept. Will be serving up Chili and Scone. $5.00 Community Complex Proceeds will go towards the Wasauksing Fire Department. All Proposals/Applications through M'tigo Min Trust must be emailed to [email protected] or dropped off at Wasauksing Administration Office by 4:30pm by January 31st, 2019.